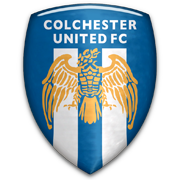 Founded in 1937, Colchester were elected to the League in 1950, after finishing as runners-up in the Southern League in the previous season. 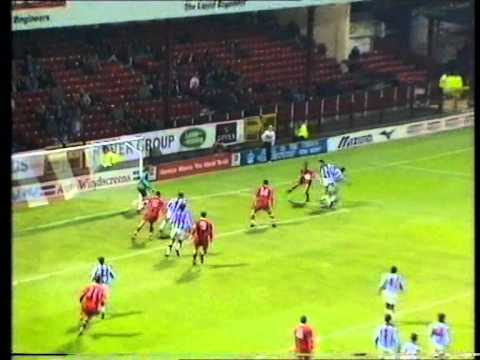 Their first meeting with the Town was only their second in league football - recording a 1-1 draw at the County Ground - before returning to Layer Road a week later to humble Swindon by four goals to one. Simon Gibson makes his debut on loan from Chelsea, as the Town come from a goal behind to beat Colchester 2-1. 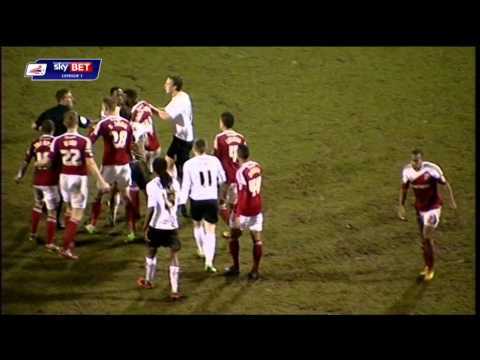 Chris Ramsey makes his first appearance as a permanent Town signing - but only just over 2,200 fans are at the County Ground to see victory over Colchester. 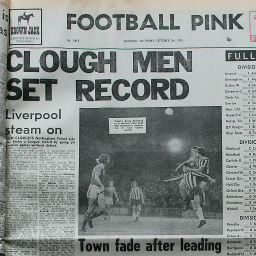 Late goals from Peter Thorne and Steve Finney see the Town through the group stages of the Auto Windscreens Shield. 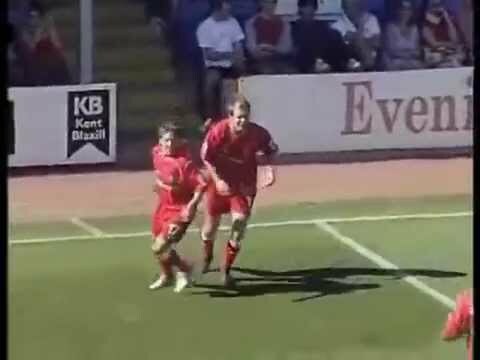 Neil Ruddock nets a thunderous free-kick on his Town debut - a winning goal that he really got his weight behind. 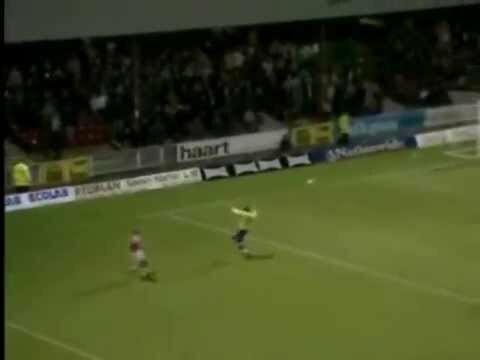 After a Colchester penalty gives them a half-time lead, two goals in two minutes just past the hour turns it around for the Town - then an Andy Gurney penalty seals the game. 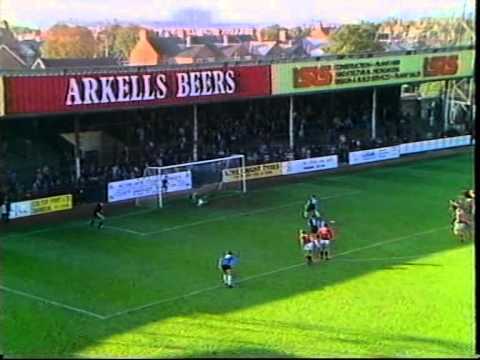 Yet again, the Town look set for defeat, as Colchester take a two goal lead early in the second half - but two goals in three minutes from Andy Gurney and Eric Sabin salvage a much needed point. 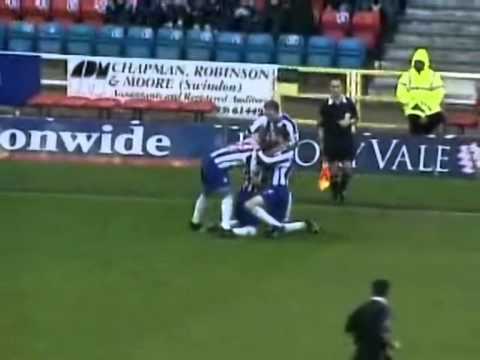 Kem Izzet's header is the only goal of the game. 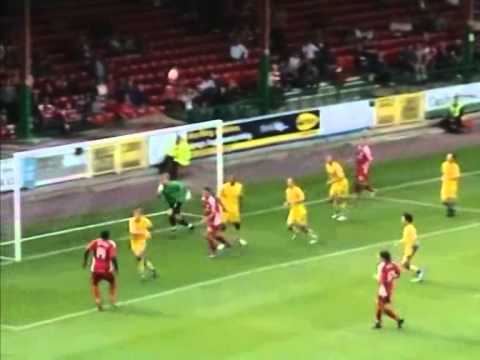 Tommy Mooney nets his second goal in Essex in a week - his strike three minutes from time sending the away fans wild on a warm August evening at Layer Road. 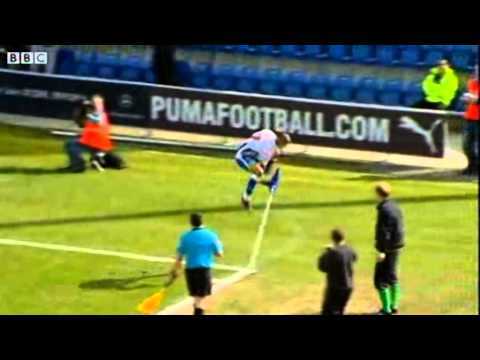 Parkin and Mooney combine to seal victory over Colchester. 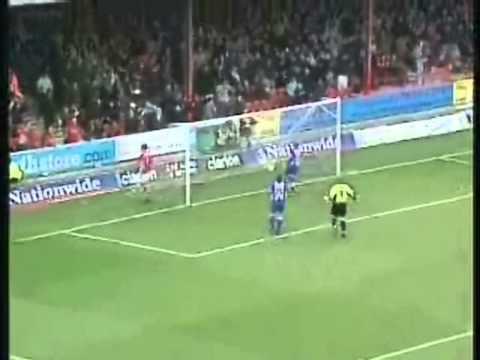 Sam Parkin nets the only goal of the game in the seventh minute. 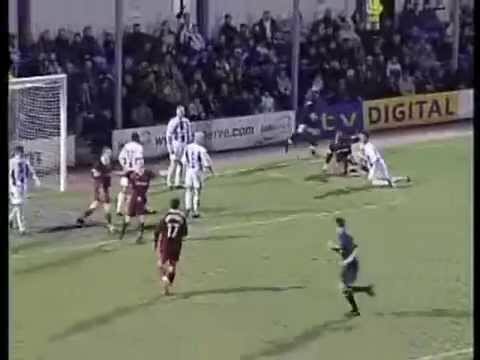 With the team rumoured to have been out on the town for the New Year's celebrations the night before, they put on a shocking display at home to Colchester. 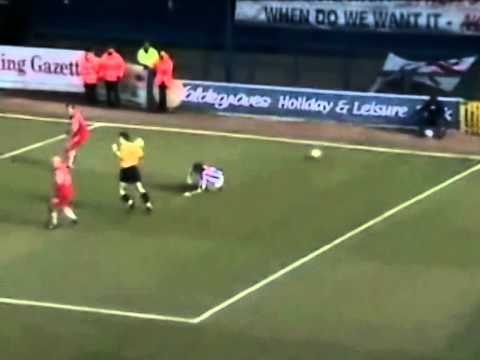 Rory Fallon nets a last gasp diving header to secure a crucial win over Colchester on Boxing Day. 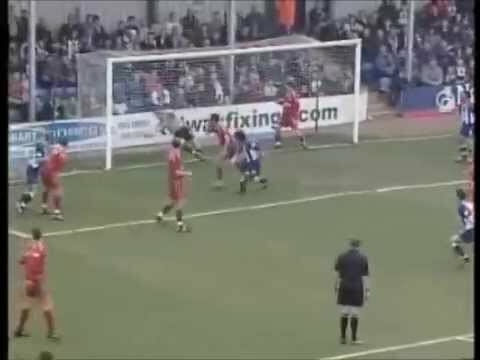 Chris Iwelumo's early penalty gives promotion chasing Colchester a victory that leaves Swindon in further trouble at the bottom of the league. 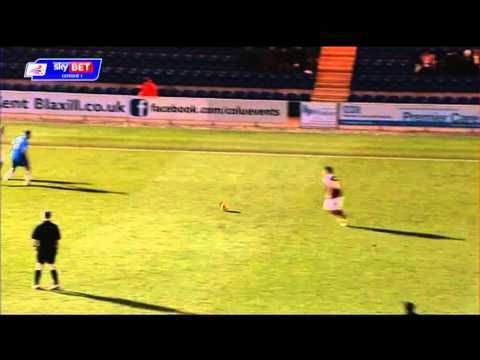 A lethargic first half performance hands Colchester an unassailable two goal lead. 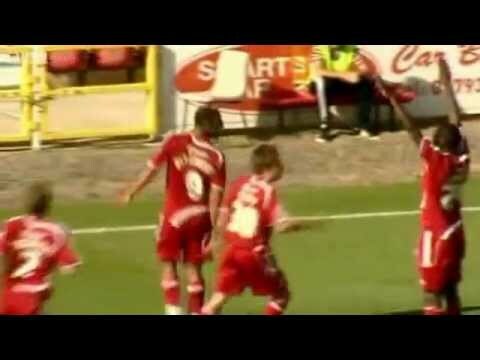 Swindon twice come from behind at Colchester, but have no answer to David Perkins' winner. 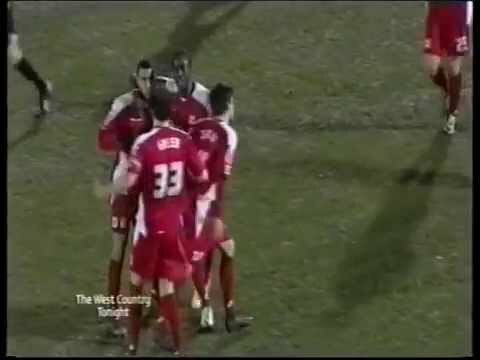 Tope Obadeyi's goal just before half-time levels the game for the Town. 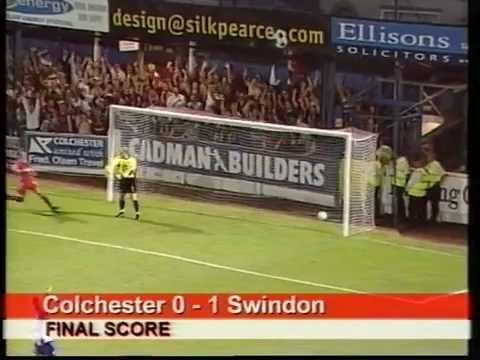 Colchester somehow score three past Swindon to record a flattering victory. 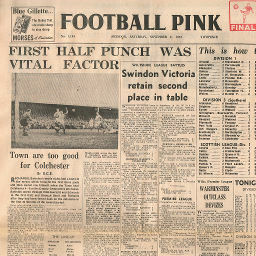 Click to view a newspaper report of Swindon's 2-1 win against Colchester United in the 1951-1952 season. 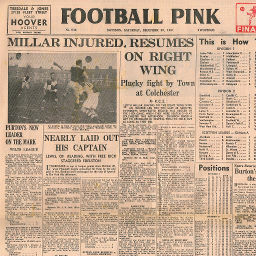 Click to view a newspaper report of Swindon's 0-2 defeat at Colchester United in the 1951-1952 season. 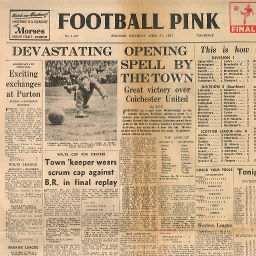 Click to view a newspaper report of Swindon's 0-1 defeat against Colchester United in the 1952-1953 season. 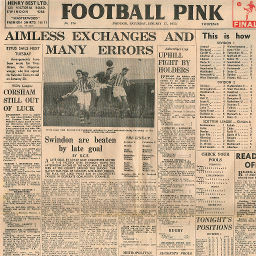 Click to view a newspaper report of Swindon's 3-0 win against Colchester United in the 1953-1954 season. 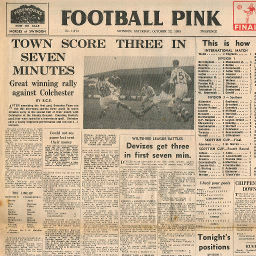 Click to view a newspaper report of Swindon's 2-2 draw at Colchester United in the 1953-1954 season. 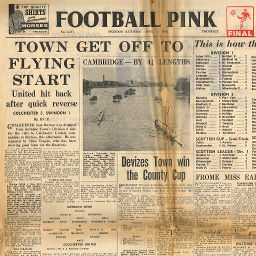 Click to view a newspaper report of Swindon's 0-0 draw at Colchester United in the 1954-1955 season. 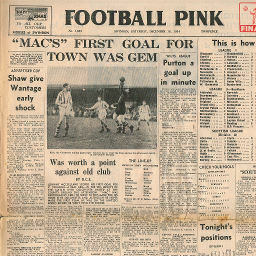 Click to view a newspaper report of Swindon's 1-1 draw against Colchester United in the 1954-1955 season. 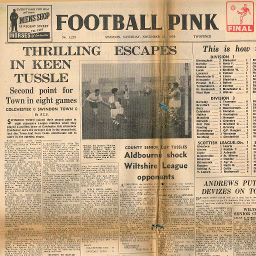 Click to view a newspaper report of Swindon's 3-1 win against Colchester United in the 1955-1956 season. 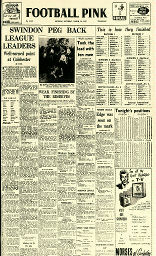 Click to view a newspaper report of Swindon's 0-5 defeat at Colchester United in the 1955-1956 season. 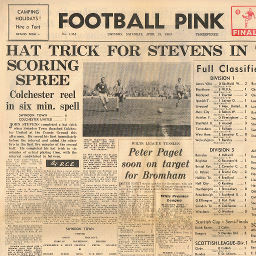 Click to view a newspaper report of Swindon's 1-1 draw at Colchester United in the 1956-1957 season. 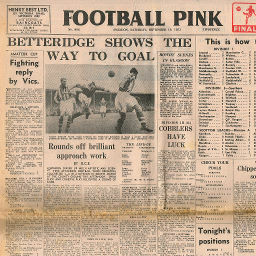 Click to view a newspaper report of Swindon's 4-1 win against Colchester United in the 1956-1957 season. 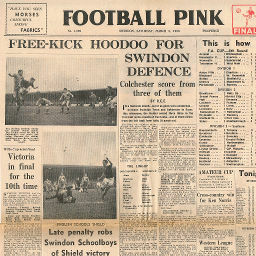 Click to view a newspaper report of Swindon's 4-0 win against Colchester United in the 1957-1958 season. 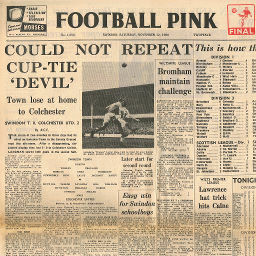 Click to view a newspaper report of Swindon's 3-1 win at Colchester United in the 1957-1958 season. 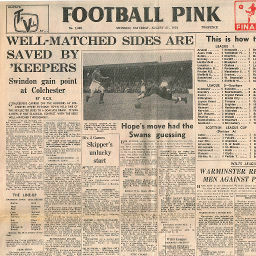 Click to view a newspaper report of Swindon's 0-1 defeat at Colchester United in the 1958-1959 season. 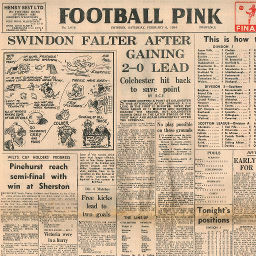 Click to view a newspaper report of Swindon's 2-0 win against Colchester United in the 1958-1959 season. 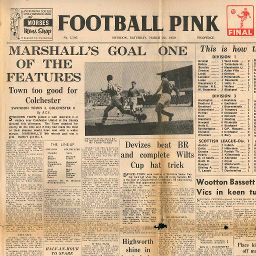 Click to view a newspaper report of Swindon's 0-0 draw at Colchester United in the 1959-1960 season. 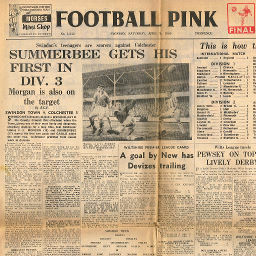 Click to view a newspaper report of Swindon's 4-3 win against Colchester United in the 1959-1960 season. 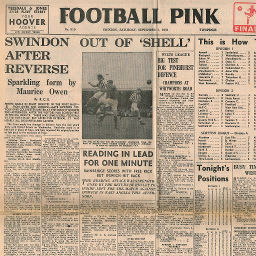 Click to view a newspaper report of Swindon's 0-2 defeat against Colchester United in the 1960-1961 season. 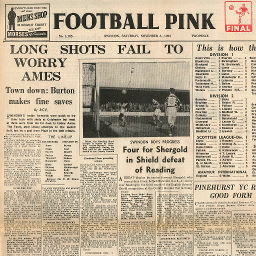 Click to view a newspaper report of Swindon's 1-3 defeat at Colchester United in the 1960-1961 season. 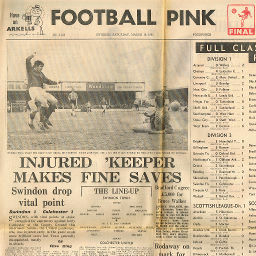 Click to view a newspaper report of Swindon's 6-1 win against Colchester United in the 1962-1963 season. 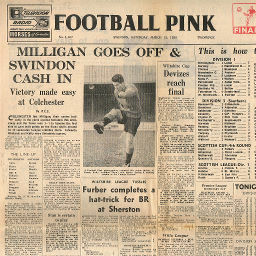 Click to view a newspaper report of Swindon's 1-2 defeat at Colchester United in the 1967-1968 season. 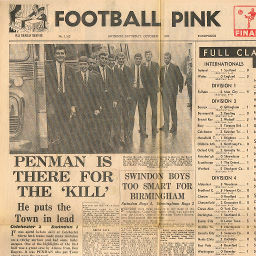 Click to view a newspaper report of Swindon's 1-1 draw against Colchester United in the 1967-1968 season. 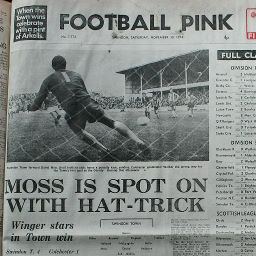 Click to view a newspaper report of Swindon's 4-1 win against Colchester United in the 1974-1975 season. 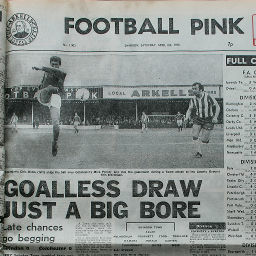 Click to view a newspaper report of Swindon's 0-1 defeat against Colchester United in the 1975-1976 season. 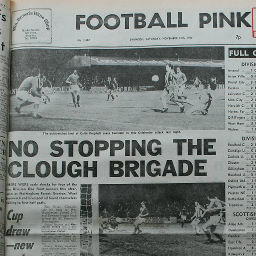 Click to view a newspaper report of Swindon's 0-2 defeat at Colchester United in the 1977-1978 season. 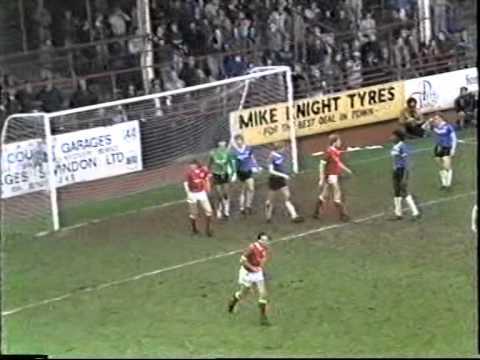 Click to view a newspaper report of Swindon's 0-0 draw against Colchester United in the 1977-1978 season. 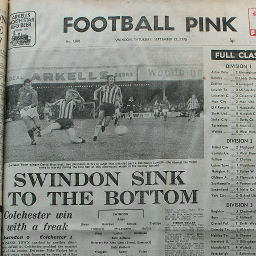 Click to view a newspaper report of Swindon's 2-3 defeat at Colchester United in the 1978-1979 season.